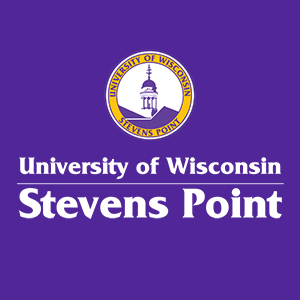 Several UW-Stevens Point departments and programs, including the School of Business & Economics, sponsor Professional Pointer Events (or Pro Events). You will be able to choose from a wide variety of speakers, workshops and special events. With more than 300 events per year on the Pro Events calendar, you will have significant flexibility in selecting your events. Whatever you choose, Pro Events will help you to make the most out of your time as a student and to prepare for transitioning into a successful career. How can I find out about upcoming Pro Events? Check the online Pro Events Calendar for upcoming Pro Events. Are Pro Events open to everyone? Absolutely! Even if you are not currently taking a class that requires events attendance, please come to as many events as you can. 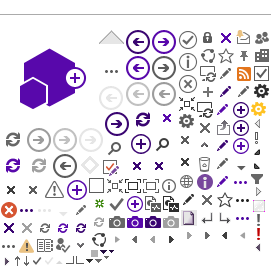 How many events am I expected to attend? Classes requiring Pro Events typically require two events per semester; at least one of those events must be before the mid-semester cut-off of March 8. Check your course syllabi or the Pro Events website to see which classes require Pro Events attendance. Other UWSP programs, such as Athletics, may have different requirements. How do I get credit for attending an Pro Event? At most events (unless stated otherwise in the event description), it is your responsibility to sign in with your Point Card. At a few smaller or off-campus events, you will be asked to take along an attendance form and have it signed at the event. After the mid-semester cut-off of March 8 and at the end of the semester, we will send attendance reports to faculty. What if I don't attend enough events to fulfill all of my Pro Events attendance requirements? If you have multiple courses with Pro Events requirements, it is your responsibility to make sure you have attended enough events for each course. If you have not attended enough events to cover all of your courses, your attendance will be allocated to your courses in alpha-numeric order. Can I fulfill all my Pro Events attendance requirements early in the semester? Sure! If you go to extra events before March 8, those credits will carry over into the second half of the semester. How can I find out how many events I have attended so far? Check your attendance at the Pro Events website. Can I attend one event and get credit for multiple courses? How can I get an event advertised as an official Pro Event? If you know about an upcoming event that would be of interest to SBE students, email us preferably two weeks in advance. Can I get credit for events not listed as official SBE Events? Possibly! If you are attending a conference or lecture and you think it will have useful professional content, email us to ask about possible Events credit. Can club meetings count as events? Yes, many club meetings count as Pro Events, including Professional Speaking & Leadership (Toastmasters), SHRM (Society for Human Resource Management), Rotaract (part of Rotary International), I-Club (International), NSLS (National Society of Leadership & Success) and FLA (Financial Literacy Association). Do I have to join a club in order to attend a club meeting? You can always attend one meeting to find out more info and decide if you would like to join a club. In addition, many clubs have open meetings at which non-members are welcome; for instance, when the club is hosting a speaker. How about more daytime events? Classrooms are scarce during the day. Many of our professional guests are working during the day.